A new Nancy Drew movie is coming out and if you love Nancy Drew as much as me you will be excited! 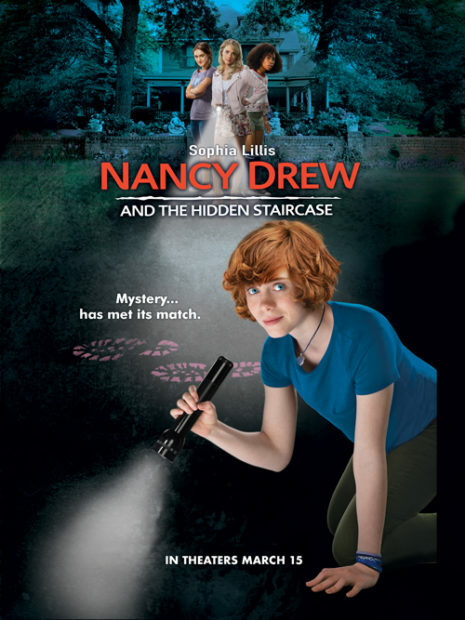 The new movie is called Nancy Drew and the Hidden Staircase. Now you can enter to win a swag bag. click + drag puzzle pieces to unlock clips from the film. To Enter Leave a Comment and tell us of you have ever read a Nancy Drew book and if so what is your favorite book. Follow us on instagram or Twitter and let us know your name in the comments and that you followed .Use #NancyDrew and #TheHiddenStaircase to spread the word! We will pick a random comment to win. Each household is only eligible to win Nancy Drew and the Hidden Staircase – Theatrical Pack via blog reviews and giveaways. Only one entrant per mailing address per giveaway. If you have won the same prize on another blog, you will not be eligible to win it again. Winner is subject to eligibility verification. If you have recently added to your brood you are relocating due to work, the chances are you will need to look for a new home to call your own. You may have loved the time you have spent in your current property but feel that now is the time to move on to pastures new. However, it’s not easy to simply pick up sticks and move to a new home when you have a mortgage and need to sell the one you are currently in. To maximize your profit and ensure that you achieve the optimum price for your pad, you need to implement a plan that sees your home appear irresistible to potential buyers. 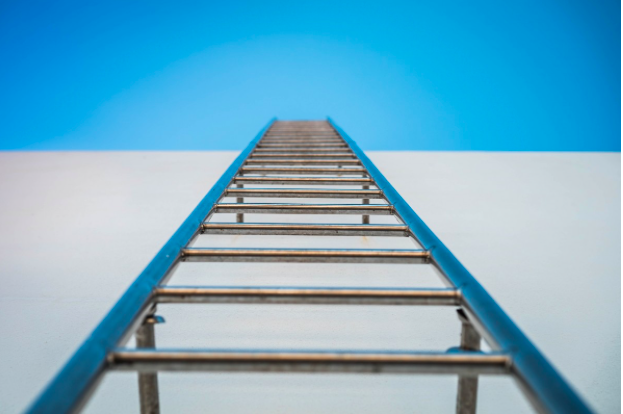 Take a look at these three simple ways to leap up the housing ladder. To facilitate the sale of your humble abode, you need to get it fit for sale. This means dressing it in a way so that it exudes a lifestyle appropriate to your target market. If the bathroom suite of your property is a rather fetching shade of avocado green, swap it for a more modern white suite. If your kitchen cabinet doors are falling off their hinges, either swap them for new more modern doors, or change the units altogether. It’s important that your home is a dwelling that is ready to move into. 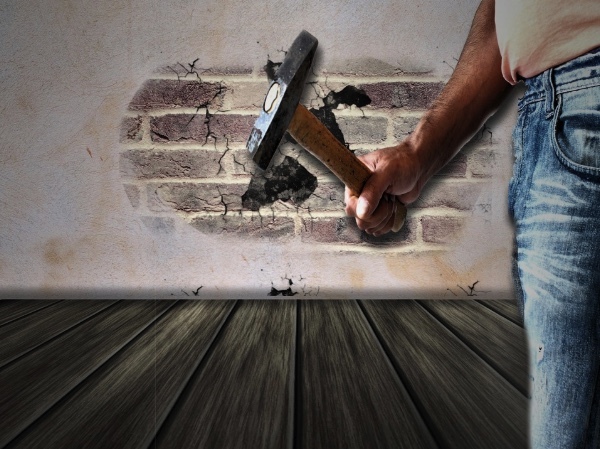 If it appears to need lots of renovation work, a potential buyer will try and knock you down on your asking price. You need to maximize this in order to leap up the housing ladder. If you are wondering how you can work out the best list price for your home, head to a site like William Pitt that will provide you with three instant online valuations for your dwelling. This will give you an excellent ballpark figure to help you understand what you might be able to achieve. Sometimes your home may be structurally sound but still has a few too many personal touches making it difficult for potential buyers to see how they can put their own stamp on your property. Whip out the white paint and cover the deep damson hue in the dining room and the lemon yellow in the kitchen. By creating a blank canvas you will be showing anyone viewing your home just how simple it will be to move in and get decorating themselves. Most buyers want to do a little something to a new home, so make this easy for them. Get rid of the toys adorning every shelf and put any unwanted junk in your loft rather than on the floor in the corner of the living room. No matter how small your property might be, you need to make it appear spacious and livable. Just because you may need a certain sales price to get the house of your dreams doesn’t mean this is attainable. Look at the ceiling price for your property and don’t list above this. Any savvy buyer will know the prices and property forecasts like the back of their hand so don’t be too greedy otherwise you won’t get footfall through the door. Selling your home is a balancing act between achieving the optimum price and selling quickly. 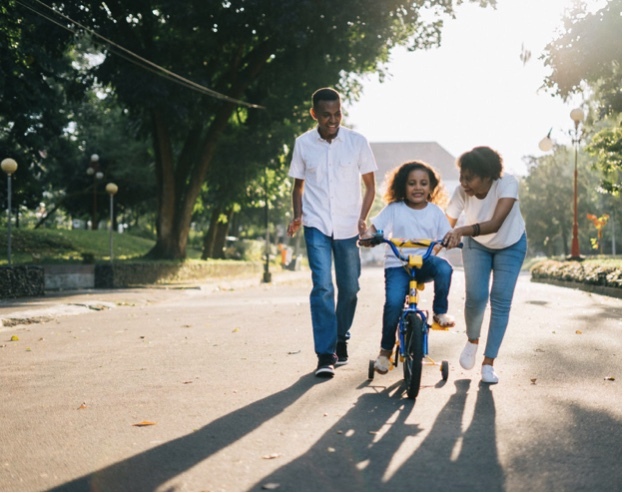 Use these ideas to facilitate your next move up the housing ladder. We’re not going to tell you to don your scrubs and grab a paintbrush, because those are the home improvements that everyone seems to speak about. It’s always about stripping the walls, and changing them completely. Or it might be about adding a new sofa into your living room, or removing a stain that has been sat in your carpet hidden by the rug for far too long now. It’s the new year, so we’re going to inject a little bit of excitement into our home improvement article. We’re sure you can all agree that it has been a hard few days adjusting back to normal life after the rush and excitement of the Christmas period, and everything just goes a little bit dull, doesn’t it? So, here are some of the home improvements that we think you should make, how you can easily do them, and how to make sure you have fun whilst doing them! Ew, it’s cold. Have you not just muttered this to yourself!? Yes, the comfort of your home can be all too inviting at this time of year, but there’s nothing better for you than some fresh air and the great outdoors. Plus, whilst you’re busy doing what we’re about to suggest, you actually will work up a sweat. If the sun is out as well, you’ll be getting all of that vitamin D goodness that’s going to make you feel like a million dollars. Anyway, enough about your feelings, how can you make your garden look pretty? Well, one thing we think you can do is focus on your front lawn, and have a look at some metal fence materials. If you section off the front of your home with a painted metal fence, it already looks smarter. A gate at the front to open is also super cute because you can put little sign posts on them. We just think it looks so much smarter, and the only task you then have to do is mow the lawn, and maybe put a few hanging baskets out! As for the back of your house, this is where the creative side comes out. Think about all of the colours you can use with flowers, and all of the garden ornaments you can place around to add some character. A garden is definitely a work in progress, and you’ll find yourself out there every week or so tending to it to make sure it’s perfect. Now back into the comfort of your own home, but don’t worry, we’re not going to tell you to strip the wallpaper and put something new back on. We think you should take an interest into upcycling, and whether there’s anything you could do it to in your home. It’s the process of taking something that was ready for the bin, and making it look brand new again. There are plenty of upcycling articles on the internet to talk you through the process in much more detail than we would be able to. But generally, it’s a fun little project, and you can truly create some masterpieces with it. Becoming a school counselor is very rewarding if you enjoy helping children. It’s not easy to become a school counselor as you will have to gain a qualification to do so. When doing your qualification you can do a school counseling masters online, which will allow you to stay at home while studying and which will make it easier to work around your current job. Working in a school also has its advantages, you will have school holidays off as school won’t be open and you will also get to work with alot of children that you can impact as they make their way into adulthood. If you want to work with young children then becoming a nursery teacher is a great option for you. 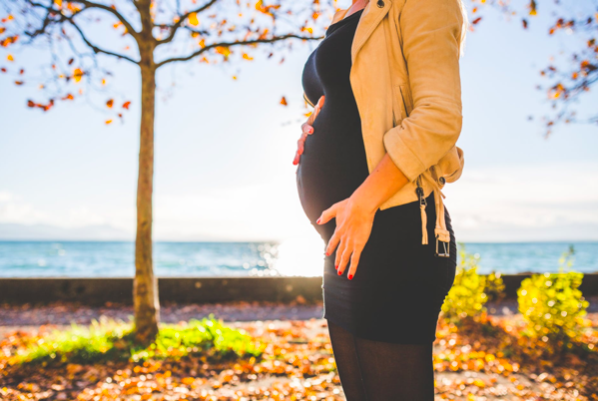 To become a nursery teacher then you will need to have a early years teacher qualification and a background check done to make sure you have no child-related convictions. Being a nursery teacher means you in charge of getting the children ready for when they enter school. This means you are the one that gives them the best chance of success in school and gets them ready for there future education. If you want to help look after children and become a big part of their life then becoming a childminder is a great career option for you. If you want o become a chilminder then you need to register first, once you are registered you will be able to childmind children and look after them for as long as you are needed. Becoming a childminder is a great career if you want to be your own boss. 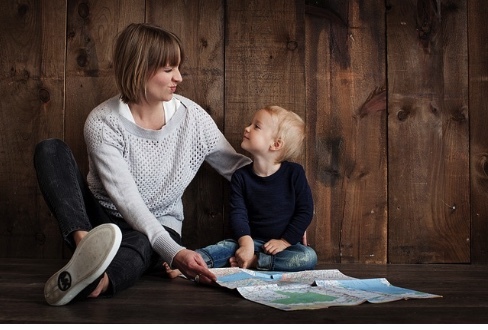 If you are a childminder you will be self-employed and you can set your own rates to charge for your services, this adds a range of flexibility to your career to work it around your life and your home situation. As a childminder, you can also choose if you would like to mind children in your own home or at the families home which adds a further degree of flexibility to the job role. Working with children is a rewarding role especially if you love children and helping them. Helping children at any point in their life is going to play a big part in there future so when you are teaching or looking after a child you need to remember that you are there to guide and help those children to be the best they can be. With these tips, it will give you some great ideas to fulfill your ambition to work with and help children. Whilst you’ll never have to pay a water bill again, you will have to make some initial investments, plus you’ll need to be certain that you live in a suitable area. 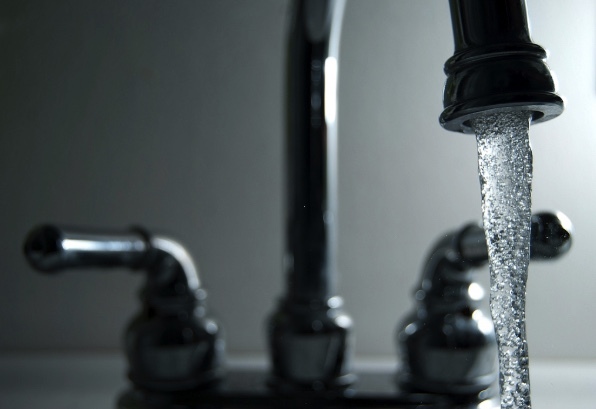 Here are just several ways to take your water supply off-grid. The most traditional way of obtaining water is to dig a well. This involves digging a hole that reaches below the water table, allowing you to access groundwater. A well can cost several thousands to build. Getting planning permission in most urban areas is impossible and you probably don’t want to attempt to build a well if you live somewhere elevated (the lower, the better). It’s ideal for rural homes in areas that may not receive much rainfall. It’s also possible to harvest rainwater. This is commonly done by collecting water in rain barrels. You can buy specialist barrels from companies such as Tanks Direct. Rainwater harvesting is great option if you live somewhere that receive regular rainfall, plus you don’t need planning permission for barrels. Rainwater is some of the safest water to drink, however it can still contain contaminants that you may want to filter out. By using a good quality rain barrel that is kept sterile you can avoid contamination. You should avoid collecting runoff from a branch or roof, as this is likely to pick up dirt or bugs. There are purification systems out there available from companies such as Culligan Water that can heat and filter water to help get rid of any contaminants in order to ensure that your water is as healthy as it can be. Without pipes connected to sewerage, you’ll need a septic tank. This is a tank in which your waste goes – this can be collected by a waste company on a regular basis. Installing a septic tank is likely to require planning permission. Tanks are usually place underground in a location that can be accessed by a vehicle in order to collect the waste when the tank is full. Make sure that the tank has some ventilation to avoid odorous gases building up. Greywater is waste water used when showering or using the sink (this does not include waste water from the toilet). It’s possible to recycle this water and use it for processes such as toilet flushing and watering plants. This involves installing a greywater recycling system, which is a costly job but one that is worthwhile in the long run. Sites like Aquaco offer more information on greywater recycling for those that want to make use of this feature. When you’re doing home renovations, you probably think about how much value they’ll add to your home. It’s always worth considering because if you can increase the value of the house, that will offset some of the costs of doing the work in the first place. You can think of it as a long term investment. But when people are doing work in the garden, they don’t always have the same mindset. 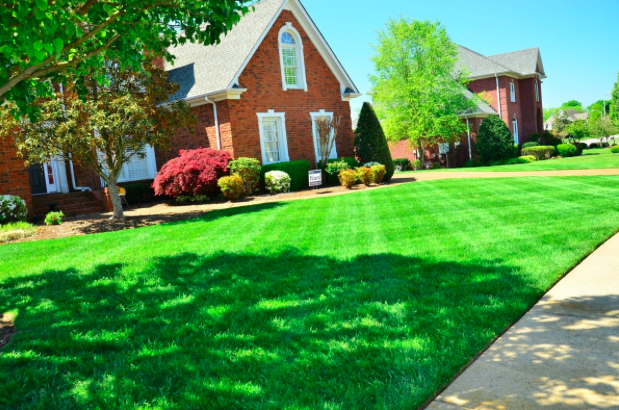 Most people know that a nicely kept garden is more attractive to potential buyers because it improves your curb appeal but it won’t add that much value to the house. If you really want to invest money in the garden, there are plenty of other additions that you can make to the garden. Next time you’re doing work on your outside space, it’s worth considering some of these additions. A garage is a big priority for a lot of people when they’re looking at houses. It’s a good security feature because people can park their cars in there. It’ll reduce your car insurance as well if you don’t have to park your car on the street. If you aren’t bothered about putting your car in there, it’s a good place to store all of the junk that you don’t use on a regular basis. Building a garage is pretty expensive though and you might not want to spend that much money right now. If that’s the case, you could consider putting a carport in instead. There are some great companies like Stylemaster Patios who can install a covered area for you to park your car in. It’s not quite the same as having a full garage but if you’ve got a nice car and you want to protect it from the elements, it’s ideal. The way that the garden looks is important, but you need to think about security as well. The garden is a common entry point for burglars and if you’ve got low fences and a broken gate that people can open with very little effort, you’re just advertising your house to criminals. Good fencing is also important if you’ve got pets or young children because you don’t want them wandering off when they’re out in the garden. It’s not that expensive to get some new fences put in but it’ll make all of the difference. If you put higher fences in the garden, you can also use them to grow plants up which makes for a far more interesting aesthetic than plain fences. Trees in the garden are great, as long as they’re not blocking the light. If you’ve got a nice patio area where you can sit and relax, it’s no good if it never gets any sunlight because there is a massive tree in the way. If you’ve got a tree that is blocking all of the sun, you should consider getting rid of it so you can get more use out of the garden. It’s also worth thinking about the light inside the home as well. Getting more light into the house is tough, especially if you’ve got rooms with small windows. Often, there isn’t a huge amount that you can do about it but sometimes, you’re not getting much light because there is a tree or a bush directly in front of the window that stops all of the light getting in. If that’s the case, you should trim the tree or, if necessary cut the whole thing down. Everybody knows that cutting the grass is a pain, especially if you’ve got quite a big garden. If you don’t do it regularly, the garden will look scruffy but doing it every week or two is a big undertaking. Brown patches and dead lawns are a big problem as well and you’ll have to spend a lot of time and money nursing the grass back to health. You can get around that and massively cut the amount of time you spend maintaining the garden by taking up the lawn and putting artificial grass in instead. Not everybody likes the idea but there are some good artificial grass companies out there and often, you can’t really tell the difference between the real stuff and the artificial stuff. It’s so much easier than managing real grass and a lot of people see that as a big bonus when they’re looking at houses. 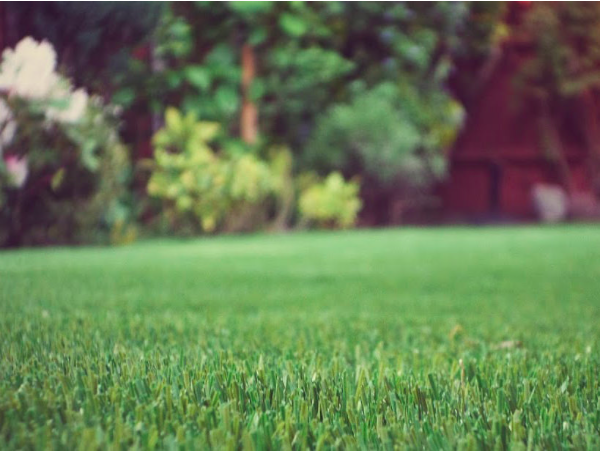 Artificial grass is a great way to avoid the hassle of maintaining a lawn but if you’re not keen on that idea, you could replace some of the grass with decking instead. It gives you a great place to put some garden furniture for relaxing or eating outside in the summer. Splitting the garden into a couple of different areas also makes it appear a lot bigger which adds value as well. A shed is always a good addition to the garden, especially if you don’t have a garage. You can store your lawnmower (if you haven’t already switched to artificial grass), barbecue, and all of your other bits and bobs. But a shed can be so much more than just storage. It can be a nice outdoor area to get a bit of peace and quiet for a while if it’s big enough. If you’ve got a bit of dead space in the garden that you’re not really using, build yourself a nice big shed there. Nobody really understands why just yet but studies show that being close to the water has an incredibly calming effect on people. Swimming in the ocean or taking a dip in a relaxing tranquility pool will help you take a break from the stresses of modern life and find some tranquility. 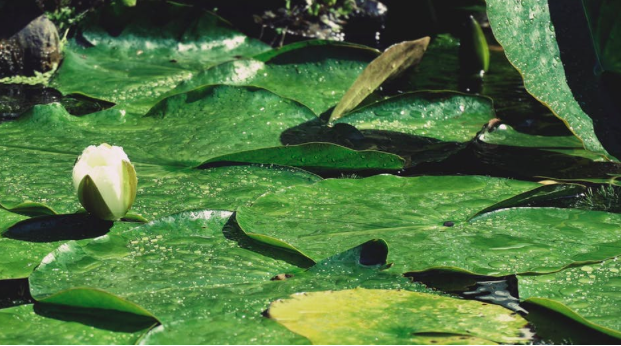 You’re probably not going to install a tranquility pool in your garden but you can get a similar effect from a water feature or a pond. There’s nothing more relaxing than sitting out in the sun listening to the gentle trickling of a water feature or watching the fish swim around in the pond. If you make these additions to the garden, you’ll create a great outdoor space that you can get more use out of and it’ll increase the value of your property at the same time. Elderberries are one of the most commonly used medicinal plants in the world. They have been used by Native Americans to treat infections, and the ancients Egyptians used them to heal burns and improve their complexions. 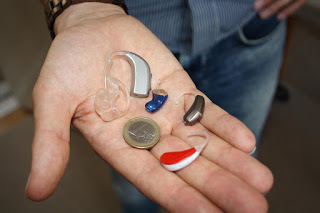 Today, they are still gathered and used in folk medicine in Europe and North America. There are many reported benefits of elderberries, and there are studies being conducted that look into their health benefits. Listed below are some Elderberry health benefits. 1. Helps Fight Colds and Flu. Elderberries have been used for centuries to help treat colds and flu. There is some evidence to support these claims from some studies. A systematic review from 2010 concluded that elderberries may have antioxidant antiviral effects. The study’s author stated that more research is needed. A double-blind, randomized control trial tested if elderberry extract could prevent people from experiencing cold-like symptoms after traveling on an airplane. People in the study were given lozenges containing 300 mg of elderberry extract and 150 mg of rice flour twice a day for ten days before traveling. Researchers found that the lozenges did not prevent the cold-like symptoms. However, people who have taken elderberry extract had less severe symptoms and their symptoms lasted for less time. 2. Reduces Wrinkles. Elderberries contain high levels of vitamin A. The ANA claims that Elderberries may soothe the skin, prevent or lessen the appearance of wrinkles, and reduce the appearance of age spots. 3. Can Help With Weight Loss. Like most fruits, Elderberries are high in fiber. In a German study, participants who take elderberry juice enriched with elderberry flower and extracts saw significant improvements in weight regulation. 4. Improved Digestive Health. There is more research needing to be done here. However, elderberries are a great source of fiber and can help improve digestion. The fiber can help treat other digestive issues like bloating, gas, upset stomach, and constipation. 5. Improved Heart Health. Elderberries are rich in potassium, so they can help regulate blood pressure and ensure that the blood vessels are relaxed. High potassium diets have been found to reduce the strain on the heart. Studies have found that people taking high amounts of potassium (not excessive) had 49 percent less risk of death by ischemic heart disease. Some sources claim that elderberries can help regulate cholesterol levels and boost circulation. Elderberries contain beneficial compounds called anthocyanins. Anthocyanins protect the inner layer of blood vessels from oxidative stress. This protects the cells from inflammatory stressors, improves circulation and reduces the risk of heart disease. 6. Strengthen Bones. Elderberries contain potassium, iron, and calcium, which are known to strengthen bones, increase bone mineral density, and reduce the risk of osteoporosis. The anthocyanins may also prevent bone loss in certain. More studies need to be done, so you should consult your doctor before taking Elderberries for bone health. 7. Can Help Prevent Cancer. There are scientists from around the world who are testing the effectiveness of elderberries in cancer treatments, with some success. The success could be attributed to the quercetin in elderberries, which is known to stimulate the immune system and aid in treatment of cancer. Other studies found that elderberries could be a treatment for prostate cancer. This could be due to the berries inhibiting the hedgehog signaling, which is a biochemical process linked to cancer. 8. Helps Treat Diabetes. Studies suggest that elderberries can help lower blood sugar levels, and aiding with diabetes treatment. Research is limited, so it is recommended to speak with your doctor before changing treatments. 9. Improved Vision. Health Elderberries are rich in Vitamins A and B5, which can help prevent serious vision ailments including macular degeneration and glaucoma. The antioxidants in elderberries may also help improve a person’s vision health in the long run. 10. Fights Inflammation. There are a number of studies that talk about the anti-inflammatory properties of elderberries. The berries have even been used to treat eye inflammation. They also help fight oxidative stress, which helps reduce inflammation in the body. 11. Improved Hair and Skin Health. Along with helping reduce the look of wrinkles, Elderberries are also used as a detoxifying agent and helps treat and prevent acne, scars, and boils. This is due to the anthocyanins in the berries, which is the compounds that give the berries their color. Distilled elderberry flower water is used to lighten freckles and improved skin health. The fruit extract applied directly to the skin can also reduce bruising and inflammation. The elderflower oil can also be used to treat your hair. You just need to mix the elderflower oil with your other favorite oils that are safe to apply to the skin and apple to the problem areas of the scalp. 12. Improve Brain Health. One study found that anthocyanins in berries, including elderberries, can help treat cognitive impairments and resultant conditions like Alzheimer’s. Studies also found that Elderberries are replete with quercetin, which is an important flavonoid which is critical for brain health. Quercetin reduces harmful inflammation at the cellular level. It also activates mitochondria in the cells. 13. Helps Treat Urinary Tract Infections. There is very little research on this subject. There are certain sources that claim that elderberry juice can reduce inflammation in the urinary tract and treat urinary infections. 14. Allergy Relief. Elderberry’s anti-inflammatory and immune-stimulating properties make them a great natural remedy for allergy symptoms. Allergies cause inflammation of the sinuses, itchy, sneezing, watery eyes, swelling, and a stuffy or a runny nose. Elderberries are believed to be particularly good for people who suffer from hay fever because it strengthens the upper respiratory tract. Elderberries also have an anti-catarrhal action, which can help reduce congestion and runny nose caused by allergies. People can eat elderflowers cooked or raw. However, Elderberries need to be cooked to be safe to eat. Raw elderberries, seeds, leaves, and bark of the tree all contain a toxic substance that can cause diarrhea, vomiting, and nausea. With cold and flu season right around the corner, it is time to start thinking about how you are going to treat the symptoms and protect yourself and family from these illnesses. Making Elderberry Syrup is not a complex process and only takes a few hours at the most. Some natural stores also sell premade Elderberry Syrup and other Elderberry products if you do not have the supplies to make your own. There are a variety of techniques that can be used to make elderberry syrup. This recipe is easy and the elderberry syrup can last up 3 months in the fridge. Steps: 1. Clean the Elderberries and place them in a pot. Add 2 tbsp. or more water in the pot. Simmer until juicy. Remove from the heat and let the mixture cool until it is cool enough to be handled. 2. Line the glass jar with the cheesecloth or nut milk bag. Place the Potato Ricer on top. 3. Transfer Elderberries and juice into the Potato Ricer. The Elderberry Juice will drip through the nut milk bag into the glass jar. 4. Press the potato ricer to extract all the juices. If you are using your hands, you should really wear gloves because the elderberry juice can stain the skin. 5. Transfer the elderberry juice back into the pot and simmer to reduce the juices a bit. Remove the pot from the heat and let the liquid cool until it is lukewarm. 6. Add the Honey to the juices you have in the pot, and stir well. 7. Take the pot off the heat, and transfer the liquid with the funnel into the glass bottles. Let the liquid cool before using it. Store the Elderberry Syrup in the fridge and take a tablespoon daily for immune boosting properties. Some recipes will also add ginger, cardamom, cinnamon, and other herbs that are known for their health benefits, to add a pleasant flavor to the syrup. You should use what you have available, and adjust the recipe so you enjoy the flavour. With all the benefits that Elderberries offer, it is definitely worth trying to incorporate elderberries into your diet. Even a tablespoon of Elderberry syrup can provide you with some of the many health benefits listed above. 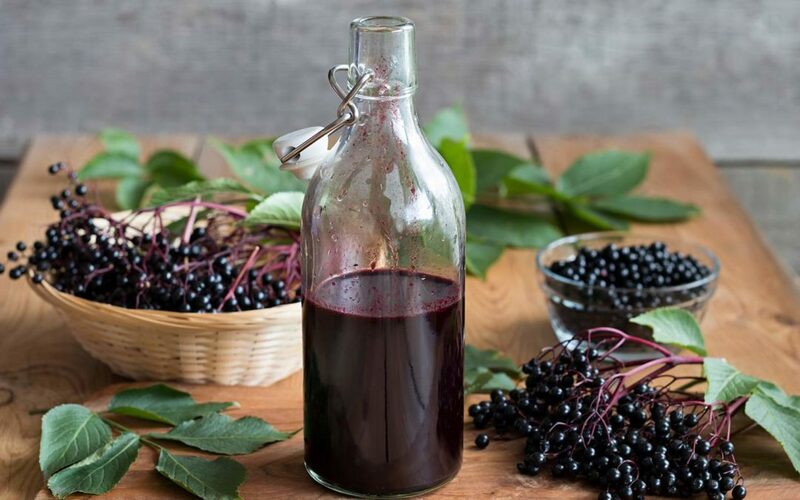 No matter if you make your own syrup or buy premade made syrup from your local health food or natural store, the bottom line is that elderberries are great for your overall health.